Having four times more clearer and sharper images as compared to the full HD models, the *8MP high-resolution (3840×2160 pixels) LG 8MP surgical monitor is equipped with an IPS panel and is capable of clearly displaying the interior of the human body and the veins with a wide viewing angle of up to 178 degrees. Along with an excellent brightness of 800 nits suited for surgical environment, the expanded color reproduction range of 115% sRGB highlights the red color which is well suited for surgical monitors that require high-precision during surgery, clearly distinguishing blood from the affected parts. The images, on a regular grayscale monitor, lacks consistency, thus, not suitable for a precise analysis of medical images. On the other hand, the LG 8MP surgical monitor is calibrated in accordance with DICOM Part14 from the production phase to create consistent digital images. This allows a distinct color gradation from dark to bright areas and more stereoscopic displays when transmitting, storing, and displaying digital medical images. It is also equipped with an autobrightness sensor to automatically adjust the changes in the brightness of the monitor over time and bring consistency. Therefore, the monitor provides screen brightness suitable for operating rooms even when used over prolonged periods of time. Unlike regular monitors whose screen increasingly darkens and flickers over time, the flicker-free monitor minimizes blinking that tires the eyes, keeping the brightness of the screen consistent and further relieves eye strain for the medical staff who needs to watch the screen for long periods of time. LG 8MP surgical monitor has verified its durability with IP35 rated front panel and IP32 rated rear panel against intrusion of foreign bodies (tools, dirt, etc.) and moisture, and is safely protected against fine particles and various liquids including blood that can penetrate during surgery, and is also effective for maintenance and sterilization. In addition to providing vibrant colors, the LG 8MP surgical monitor is also processed with an anti-reflective coating to enhance image accuracy. The anti-reflective coating provides a clear, eye-friendly screen during surgery by reducing the light reflected from the monitor. [INQ. NO. 1406E13] BON Electronics specializes in developing and manufacturing high quality broadcast and multimedia products based on superior R&D and manufacturing technology. At this time when HD Technology has dominated multimedia and professional video markets, BON has been concentrating on developing and manufacturing broadcast monitors, field monitors and other multimedia products. control, H/V level meter, and auto color adjustment on temperature change. Also, an extra external display can be connected via an HDMI-to-SDI converter. production industries. 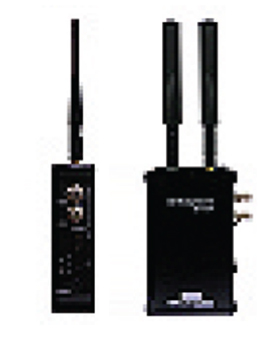 Such noticeable points as up to 50Mbps encoding bit rate, very low latency(20ms), real time-based transmitter selection, bi-directional data link at 11Kbps, low power consumption(10W), automatic encoding rate adjustment for RF condition, etc., are available. AHA Information & Communication’s LCD tablet monitor is an innovative education tool that allows students to write directly on the tablet while utilizing a variety of audio, visual and interactive materials. The tablet monitor includes an extensive list of features. Any writing done on the tablet with a stylus is displayed directly on the classroom’s main screen via an LCD projector. Lectures are recorded automatically into video files (.wmv format) for students to access via the Internet anywhere, any time. The system is capable of handling any document and picture file format including PowerPoint, Word, Excel and Hangeul. Advanced writing recognition support enables the user to write fluidly and smoothly. The LCD tablet uses a high-resolution panel and a pen-input device that allows the user to use the tablet as both a display device as well as an input device. Fourth-generator digital technology, a USB interface and plug & play capability allow for greater expansion and the use of various peripherals. The screen uses a power-saving monitor (less than 35W of power consumption) and is flicker-free. Maximum resolution is 1680×1050, and both Windows and iOS are supported. Founded in 1995, AHA Information & Communication offers innovative digital equipment for both education and commercial applications, including electronic whiteboards and podiums, LCD tablet monitors and digital information displays. Company president Koo Gi-do said, “We are currently exporting to more than 32 nations as of late May, and set an export goal for this year of reaching US$ 25mil., which is equivalent to the increased export-scale (80~90%) from last year. The company has recorded remarkable exports exceeding US$ 10mil. last year, following US$3.5mil. in 2010, and US$2.6 mil. in 2009. This year, it has added new export markets in countries such as Brazil, Azerbaijan, Iran, Algeria, and Venezuela. Of special note, AHA has supplied its globally competitive 82-inch large electronic board to 12 nations from 2011. He predicted that AHA could take the world’s No. 1 place in global electronic board markets riding on the increasing worldwide demand for LCD electronic boards and taking advantage of the halo effect of the world’s best competitiveness of local LCD makers – Samsung, LG, etc. “We will replace the conventional whiteboard-type electronic board in foreign market with our latest LCD electronic boards – enabling Korean-made LCD electric boards the world standard,” Koo explained. AHA Information & Communication has the nation’s first developed hand-touch light sensors for large display in 2009, the supply of which were previously solely reliant on foreign countries, opening the path for large-scale export. If you want more information about ‘AHA Information & Communication’, please contact us. 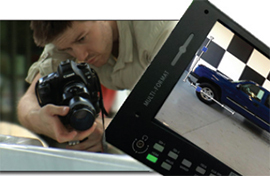 TV Logic is a professional broadcast equipment manufacturer that designs and produces multi-format video monitors since its establishment in 2002. The powerful monitor line-up of the company covers nine series, 13 sizes and 30 models from a 5.6” viewfinder monitor to a 56” ultra high-definition monitor. With demand for high-spec monitors increasing due to the HD digital transition for broadcasters and content creators, TVLogic’s line of over 40 HD displays provides the advanced features and video processing capabilities that the industry is demanding today. The company’s star product is the XVM-245W 10-bit color-critical LCD monitor. The 24-inch reference monitor for professional users reproduces highly accurate colors required by the most demanding monitoring applications. TVLogic’s advanced video processing engine and unique color calibration technology, combined with wide viewing angle LCD panel with 10bit driver and high-purity RGB-LED backlight that produce wide color gamut, provides a state-of-the-art monitoring display. The XVM-245W also provides a full range of professional features including Focus Assist, Markers, Waveform & Vectorscopes, a Timecode display, UMD, Closed Caption, Fast Mode, various color standards with 3D LUT, backlight and gamma control, and import of 3rd party 3D LUTs. The XVM-245W has passed the rigorous “Class 1” monitor certification of the Telecommunications Technology Association, one of Korea’s top technology and standardization associations. Building on the success of its 24-inch monitor, TVLogic has further diversified its product line by introducing two new versions of XVM series in 2012: the 17-inch XVM-175W and the 32-inch XVM-325W. Boosted by an overwhelming dominance in the local market with an 80% share, TVLogic is aiming to steadily increase its global market share from the current share range of 10~15% to a higher level. “We are witnessing the amazing growth of our broadcast equipment in the global broadcast equipment market where such competitive Korean-made broadcast equipment was barely marketed only a decade ago,” the company president Lee Geung-koo proudly said while promising further continuous creative attempts to obtain a more secure position in the global market. If you want more information about ‘TVLogic Corp.’, please contact us.